Our Kids is an Emmy Award-winning, 30-minute television program that highlights JCPS students and schools. The monthly show includes reports from student correspondents at Ballard, Pleasure Ridge Park (PRP), and Fern Creek High Schools—as well as stories that feature elementary and middle school students. Click here for an Our Kids video archive. Every Sunday at 8:30 p.m. Note: Visit www.louisvilleky.gov, and check the MetroTV schedule for additional times. Look for Our Kids. 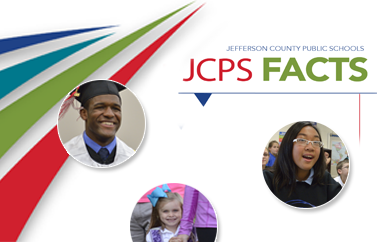 Every Sunday at 9:30 a.m.
Every Wednesday at 5:30 p.m.
Before every Jefferson County Board of Education [JCBE] meeting at 6:30 p.m.